The Excellence in Public Information and Communications (EPIC) Awards are presented annually by the California Association of Public Information Officials to honor outstanding public agency information and communications programs. The EPIC Awards honors work that rises above innovation and craft – work that made a lasting impact. Our goal is to offer an equal chance of winning to all entrants regardless of agency size and project budget. If your work moved people, we want to give it a chance to take home an EPIC. VIEW 2019 EPIC AWARD FINALISTS! 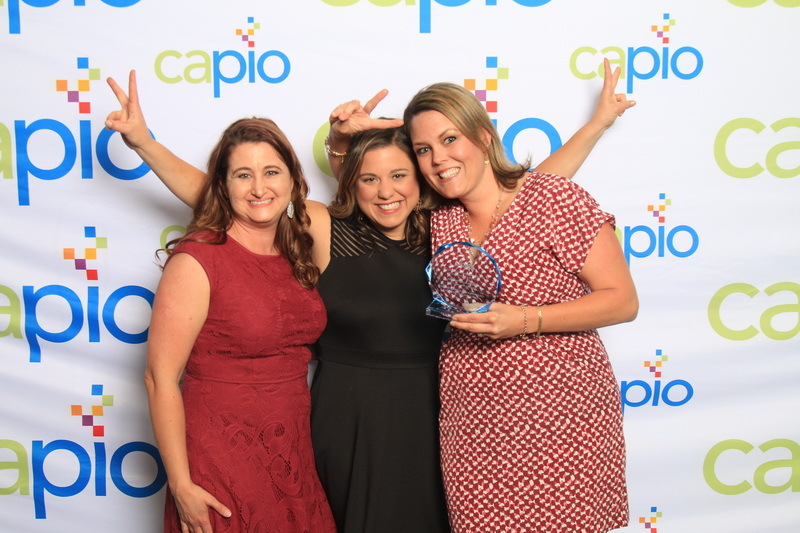 CAPIO provides winners and their organizations the recognition they deserve while offering validation that their work is not only highly regarded by their peers within the industry but also making a tremendous impact in the communities served. The EPIC Award, our highest honor, is given to those entrants whose ability to communicate positions them as the best in the field. The Award of Distinction is presented for projects that exceed industry standards in quality and achievement. EPIC winners will also be showcased in CAPIO’s Winners Gallery. The EPIC Awards are judged by your peers, a volunteer group consisting of experienced communicators. 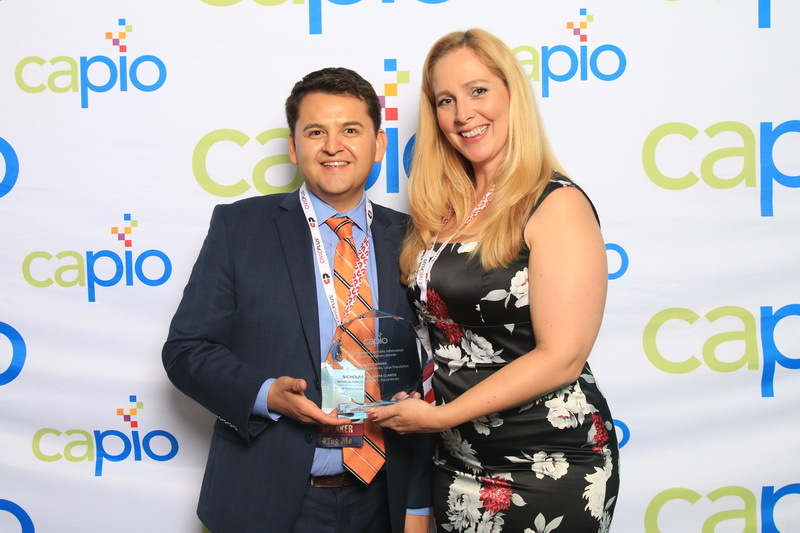 In order to ensure a fair and effective process, the CAPIO Awards committee work to secure judges not only from within CAPIO but from partner professional public relations associations. Winning entries for the EPIC Awards are reviewed and selected by at least two judges per category selected, who have committed to uphold CAPIO’s commitment to fairness and merit-based achievement. This ensures each entry is afforded equal chance of winning an award, as all entries are judged to evaluate distinction in creative work. All entries are evaluated against a standard scoring criteria and judging is based purely on quality of craft, so sometimes a category may have multiple winners, or none at all. Entries are scored on a 100 point scale by the judges. In categories that receive a large number of entries, the entries will be grouped according to service area size (small, medium and large) prior to being judged. 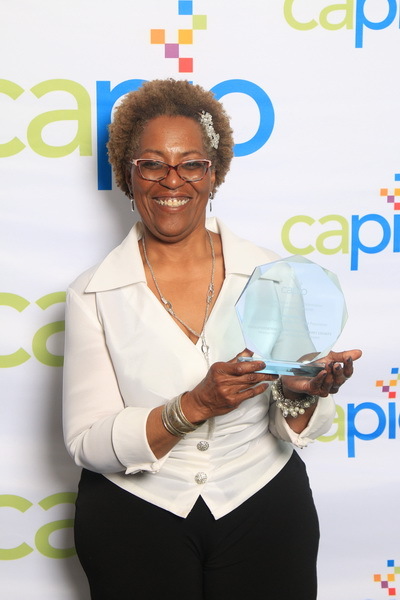 Finalists will be notified by email in mid March 2019 and will also be posted on the CAPIO website. EPIC Award and Award of Distinction recipients will receive their awards at the 2019 EPIC Awards Ceremony and Dinner in Newport Beach at the Hyatt Regency on Wednesday, April 10. Award finalists are encouraged to bring a display if possible to show at the Annual conference. Displays can include marketing promotional items, a binder or folder with program collateral, an image poster (on foam core backing if possible), or other creative display form. If finalists cannot attend the conference, the display can be sent to the CAPIO office or the conference hotel for display at the conference. Interested in ordering a duplicate of your award? You may do so by contacting our awards engraving company ACP Publications and Marketing. Contact Yadira at [email protected]. Are you ready to learn more about the EPIC Awards and submit your work that has made an impact? Read on for deadlines, entry information and tips, scoring criteria and fees. Final Entry Deadline Extended to Feb 22! Want to learn how you can best showcase your work? Do you have questions about entry categories or the scoring criteria? How we communicate continues to evolve in the connected world in which we live. For this year’s competition we’ve introduced Digital Communications and Best of Show categories with enhanced subcategories to recognize cutting-edge techniques being used throughout the industry. Work may be entered into more than one category and will be reviewed separately for each category entered. All entries entered into multiple categories will be eligible for recognition in each and will be judged accordingly. In categories that receive a large number of entries, the entries will be grouped according to service area size (small, medium and large) prior to being judged. Choose your medium to see a complete list and description of those categories. You may also view/print the full list of categories here (PDF). Communications marketing tools are the tactical tools you use to implement the idea – getting information out to get the job done. They include publications, graphic design, photography, events, writing and internal communications. Communications programs or tools used to implement the idea, make an impact and maximize reach through digital communications. This category includes podcasts, live streaming, social media, video, websites and apps. Processes are broad categories of strategic communications programs and activities, such as Community Visioning or Branding, Resident Participation, Communications Plans, Campaign Plans, Go Green Programs, Crisis Communications and Service Delivery. This category includes two unique awards—Most Innovate Communications and Dollar Stretcher. CAPIO encourages agencies to submit their most innovative programs. Entries submitted to the Most Innovative field can include consultant-supported projects and programs. For the Dollar Stretcher field, projects and/or tools that had a major impact using only in-house resources on a limited budget should be submitted. For the first time in CAPIO history, judges will be selecting from the entire entry pool, one “Best-in- Show” winner from each of the small, medium and large service areas. A separate entry is not required to be considered for a “Best-in-Show” honor. Winners will be pulled from all subcategories. Any public information professional representing a California city, county, school, special district or other public agency may participate. Private firms may submit awards on behalf of a public agency; however, the entry must be in the name of the public agency and the agency must be notified in advance that a firm intended to submit an entry on the agency’s behalf. CAPIO membership is not a criteria for entry. All entries must be for work performed and or executed in calendar year 2018. Multi-year entries can be submitted within the appropriate category. An online entry form must be completed and submitted with each PDF. All entries must complete mandatory fields on the online entry form, including service area size (e.g. population, rate payer, etc.) . The same service area size should be used across all entries, including internal communication (e.g enter service area, not total employees). Formatting: Each entry must include a written narrative that is no more than two pages, single spaced, in no smaller than 11 point font and a minimum of .5 margins all around. Each entry should include the agency’s name, award title and award category in the top right corner. Entry must be loaded as a single PDF document and cannot exceed 15MB. A single work may be entered in multiple categories and an entrant may submit multiple works in each category. Entry fees must accompany each individual entry. A separate entry fee must be paid for single works that have been submitted in multiple categories.